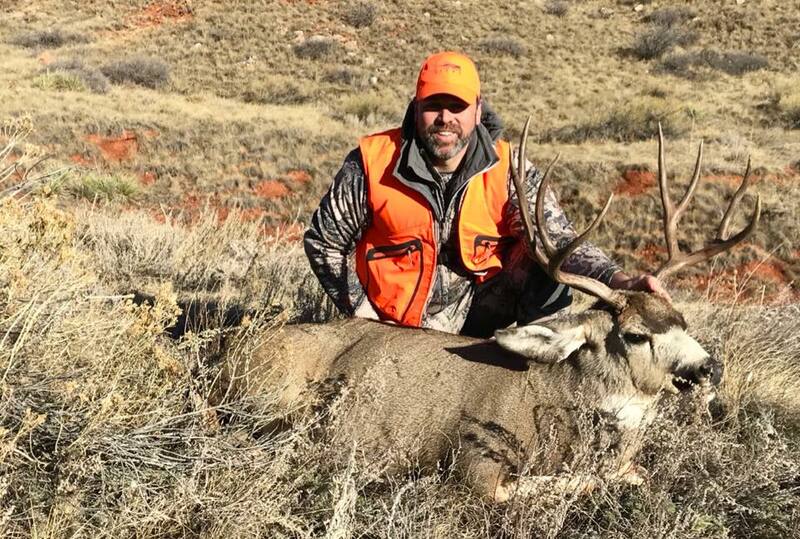 This is the story of my 2018 Colorado Mule Deer 4th season rifle hunt. This past season was a great one. It was a season where I let many of the self-created pressures of the hunt go and really relaxed and appreciated the process of the whole hunt. Doing this seemed to unlock opportunity that I had not experienced before in success in the field and in the therapeutic benefits that spending time in the mountains delivers. I worked hard while hunting but stayed relaxed and with low expectation of what the day would bring. It is a combination that I will take into next season as well and hopefully I will find similar results. The other change that I made was to glass more. I glassed more this season than several other seasons combined. I used to think that glassing up animals was sort of a waste of time and that I typically found more animals just looking around with plain sight. This year I figured out that I thought that because I sucked at glassing. This season I sat behind my spotter and binoculars and did not do anything until I found something to chase. Man did that pay off…. If you are not glassing, you are not hunting. That is a philosophy that I will carry with me as long as I hunt the mountains. The conclusion of this past big game season for me happened in my home state of Colorado for a 4th season rifle mule deer hunt. I have drawn this tag before and was excited to hold it again. This is a fun hunt. It’s in mid-November well into the mule deer rut and if the weather hits right you have a really great opportunity at taking a huge buck. This hunt for me is all about finding large bunches of does and hoping that a large buck is mixed in with them. Bucks are on the move through this period so when you find one you should make a play and try to get him because there is a solid chance you will not see that one the next day. The first day of this hunt I was joined by my friend Keenan. We headed into a spot where he had taken a nice deer the last time we drew these tags and were hoping that we would have the same luck. As we climbed into the basin that we knew the deer were frequenting we slowed way down and began glassing each fold as we crept over each rise. We spotted three groups of does and two bucks that were 2 ½ year old 3 and 4X’s on the way in. This early on in the hunt on this tag we decided to let them get bigger. We finally got to the ridge we intended to reach and set up to glass. As we picked apart the valley we found close to 30 deer none of which had horns…This surprised both of us. In most instances if you find that many does this time of year there is a buck in with them. After two hours of hanging out and searching we gave in and worked our way through different folds in the area hoping the find a good buck. That day he would not show himself. On day two and I’ll keep this short. We went onto a ridge that was so blown out with human and truck traffic that it didn’t take us long to bail and waste about 3 hours of our lives before we gave up and went to lunch. Keenan had to get back to the real world and headed out that day leaving me to try to dig up a buck on my own. As it turned out I got some help from another friend of mine Kevin. He had been checking in with me about how my hunt was going and when I told him it was going well but if he had any leads I would certainly follow. He said he had a spot we might be able to turn one up and so the following morning I was following him north hoping for the best for the day. We arrived at a relatively tight grouping of cut bank draws full of red dirt this area is known for. The morning was cool and still and as we crept over each ridge hoping to spot a buck I couldn’t help but feel that each step could be heard from a few hundred yards away. This wasn’t the case of coarse but it sure was quiet. As the morning stretched on we decided to retreat back to the pickup and look at the area from across the canyon that way we could see each drainage and pick apart the sage. Once we got the spotting scopes set up it did not take us long to spot the buck in the next drainage north of where we had stopped looking. He was tending about 12 does and a few smaller bucks milled around hoping to cut one of the does out of the herd that was controlled by the deer we were after. It did not take long before we reformulated a route of approach and going back in of another elbow to sneak in above the deer. As I crept forward I spotted him bedded, rested my gun on a rock and shot form the prone position at the deer in his bed. I squeezed the trigger and heard the bullet hit its mark the buck immediately stood up and I rack another round firing a follow up shot hitting the deer again and he fell after a few steps. I felt so fortunate to have good friends to hunt with through this experience it was them that lead me to filling this tag and ending my big game season on such a high note. I was so fortunate this whole year. Saw a lot of great country with great people at my side.